Stephen W. Terrell's (MUSIC) Web Log: A New Big Enchilada! We Goin' to New Orleans! We goin' to New Orleans! Next week I'll be attending the 2013 Ponderosa Stomp, billed as a celebration of the unsung heroes of American music. This year's headliners include The Standells, The Sonics, Swamp Dogg, Ty Wagner and other under-appreciated R&B, rockabilly and garage-rock warriors. 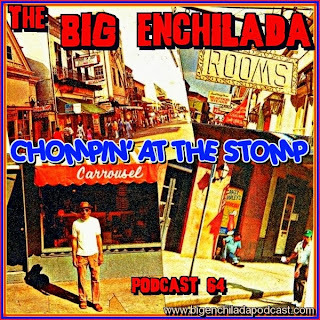 In anticipation of the festival, this episode -- following some of the crazed rock 'n' soul you expect from The Big Enchilada, you'll hear a rollicking tribute to the Ponderosa Stomp. Stomp on!